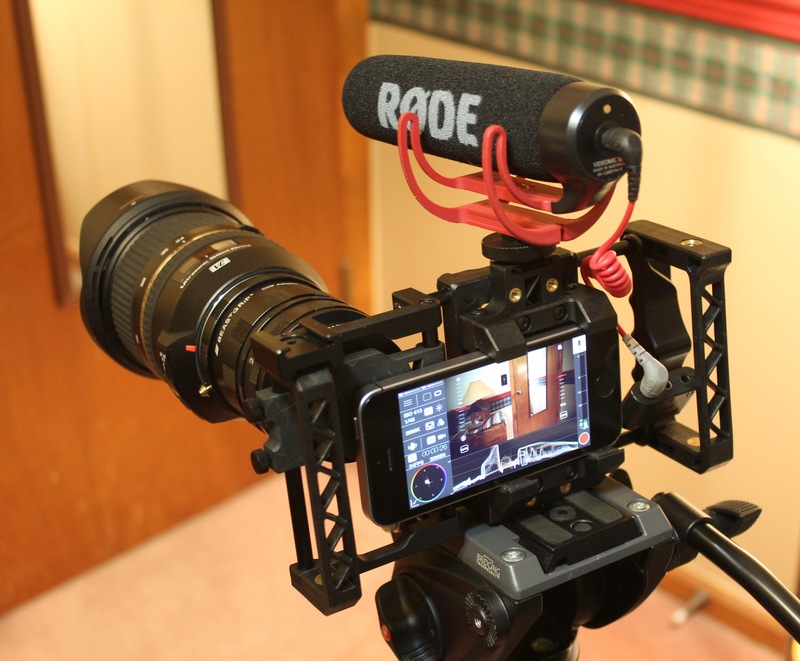 There is a lot of chatter these days about the capabilities of mobile devices (phones and tablets) for media production. Journalists for newspapers and local TV stations are now trained to create, file and share their stories all from their mobile phone. Filmmakers as influential as Stephen Soderberg are even embracing mobile devices for big-screen Hollywood projects. What should ministries being encouraging their members to do with the media creation potential they hold in their hand? I want to encourage people to launch out and start creating and sharing media with their mobiles and I think there is a best use for mobiles in media production. That is the creation of timely, “good enough” content, that places an emphasis on true engagement with an audience. I’m not saying that a mobile, like a recent iPhone or Android phone can’t do almost everything a filmmaker could want to do. I’m saying that, for most media content creators, there are a few key areas where mobiles make the most sense. 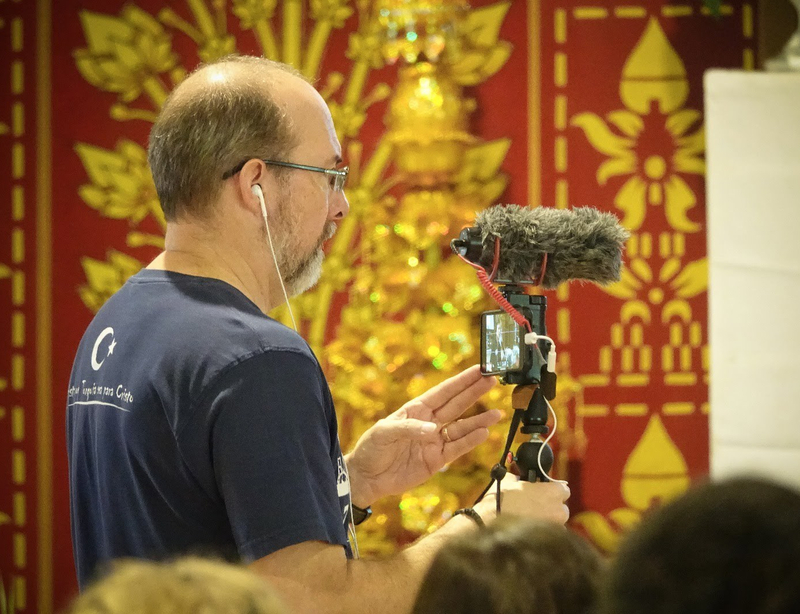 Going mobile in Thailand with a Pixel 2, Rode mic, Movo mount, and Manfrotto tripod. Let me set up a context for what I’m saying. First, my ministry focus is the use of visual story media, shared mostly via social media channels, for the specific purpose of engaging audiences in spiritual conversations – not typically for entertainment or advertising. Second, one of my roles is teaching ministries how to create compelling content using whatever resources they have at hand. That generally means mobile devices, inexpensive DSLR cameras or camcorders. I recently spent a week in Asia with a group of students from about a dozen countries. Some were very experienced in media production, and some were novices. We were teaching a mobile-only approach to content creation. That is, the videos and other visual content we made were shot, edited, and distributed using only a mobile device. The following suggestions come from our experience and pushing to see if there are some practical “limits” on what we should be trying to achieve in a mobile-only approach. Don’t get bogged down with highly planned, complex content. Use a mobile-only approach for creative, immediate, relevant, authentic content. Look at many influencers on places like YouTube. They aren’t creating really deep and complex content, but often focus on generating lots of content quickly, with compelling creative ideas. Most don’t create really complicated mini film projects for every post. Emphasize immediacy and authenticity. Shoot current and cultural events, very brief vlog-style testimonials and stories, then post your content quickly. Listen to conversations people are having, off and on-line, and join in the conversation with your own content, without delay. Authenticity is a real value held by most people – even if they follow pop stars. Pop stars will carefully curate a portion of their social media, but they also mix in more impromptu content as a way to make themselves seem more approachable, like you’re their new best friend out of 6 million followers! If you have media professionals on your team, try to avoid paralysis by perfectionism! How can my God-given care for quality be a problem? When it effectively paralyzes me or delays the distribution of content because I want to “do it right.” In this case, doing it right may be exactly the wrong thing. Discipline yourselves to create quick-turnaround content that will encourage on-going engagement with your audience while you work on deeper, more complex content. Get it done and out into the conversation. Overall, as you plan a content strategy, it’s wise to include a mix of immediate, less complex content, with some pieces that are more complex and deeper. We want to present competence and trustworthiness, but also approachability. As we think of our engagement strategies, let’s look ahead and develop some content that is well-planned and deeper, but also plan for the more frequent creation of spontaneous content that gives that balance. Tricking out an iPhone with a Beastgrip mount, Rode shotgun mic, lens adaptor, and Tamron 24-70mm lens. Ultimately, who am I to argue with Stephen Soderberg? Of course there is a place to take advantage of a small, inexpensive, good quality device for some larger projects, even narrative feature films. So go ahead and pull our your mobile device (with $2000 worth of accessories!) to serve as a camera on a larger project, especially if mobility and low-profile is a need. But for that complex project, it’s advisable to pass on the rest of the production and post-production work to other devices, like laptops and desktop computers. They just have the power and sophisticated tools to make it more effective. HOWEVER, by all means we should be using our amazing cameras and apps to create immediate, creative, relevant, authentic content.